The set featured many songs that the band would jam out on. Songs like “Funny The Way It Is”. Two of my personal favorite jam songs of the night were, “#41” and “Why I Am.” They were both mind-blowing good. After the death of LeRoi Moore, the band was faced with a great challenge of replacing such an amazingly talented musician. The band struck gold with the addition of Jeff Coffin whom throughout the show displayed his immense talent and skill. I could not believe how talented he was. This show marked the second time that I have seen The Dave Matthews Band, and they have shown no signs of slowing down, and will continue to spice things up each time I see them. The first time I saw the band, they played a set that catered to more of their biggest hits. This time around instead of just playing their big hits, they simply jammed out. Over the years I have seen a far share of jam bands, but this show topped them all. I was blown away by the skill level they played at and was extremely fortunate to see them again. 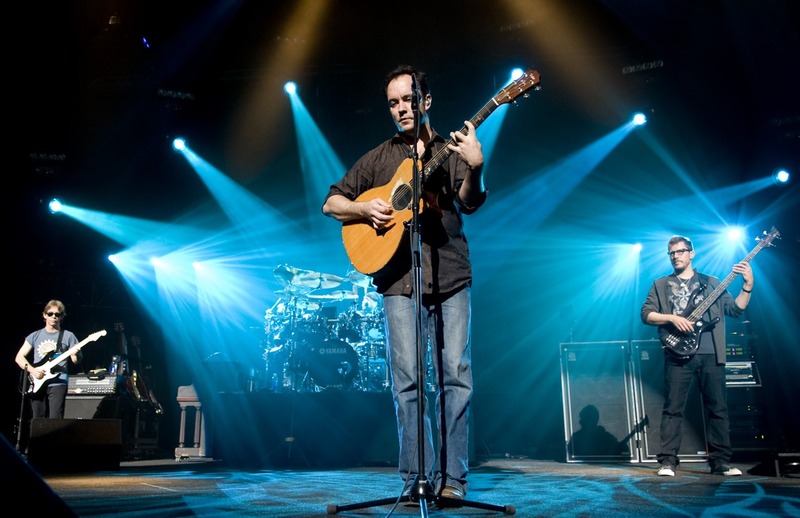 The Dave Matthews Band Summer Tour 2012 will be hitting over thirty stops all around the country, which allows fans to have the opportunity to see Dave Matthews this year. Be sure to check out this tour when it comes to your city! I love DMB. They are some of the most purely talented musicians out there and the energy at their shows is hard to top. I missed them on tour this year but I’m glad to hear that they’re still awesome. What city was this in?